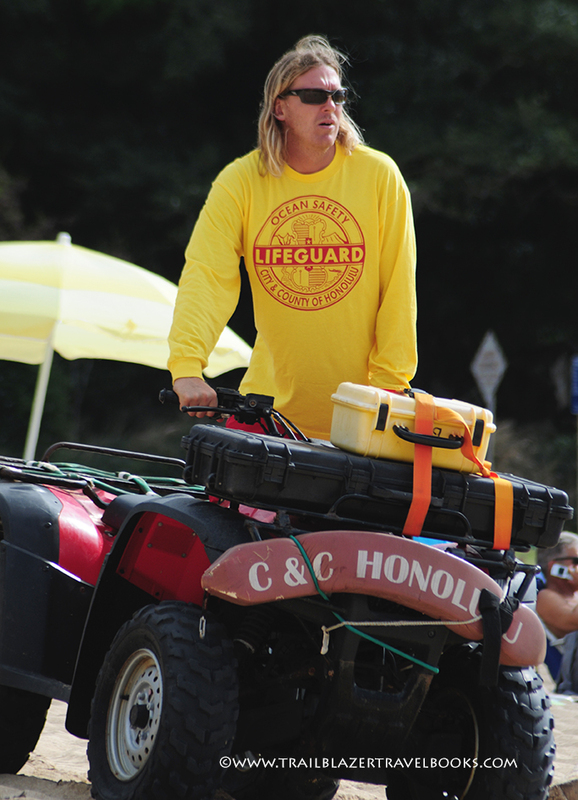 The best way to have a safe day at the beach in Hawaii is to make sure you are under the watchful eye of one of these dudes, a Hawaiian lifeguard — trained to act swiftly to save lives. Every day, somewhere in the Islands, these guys (also called ‘watermen’ in Hawaii) risk their necks to save someone else’s. When conditions are adverse, lifeguards normally post signs up and down the beach. But don’t count on it. Lack of signage doesn’t mean the water is safe. The overriding beach safety rule is: When in doubt, don’t go out. Quads, surfboards, helicopters, and skidoos are all called into to play at a moment’s notice. 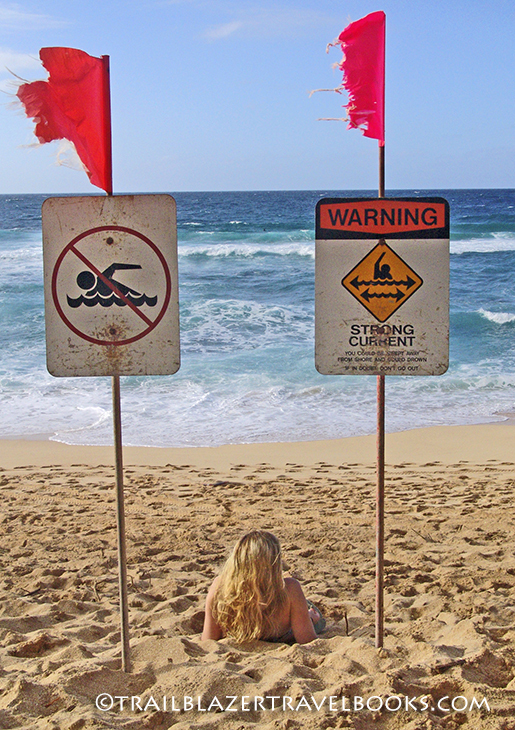 Most beaches in Hawaii do not have lifeguard stations—but many do. 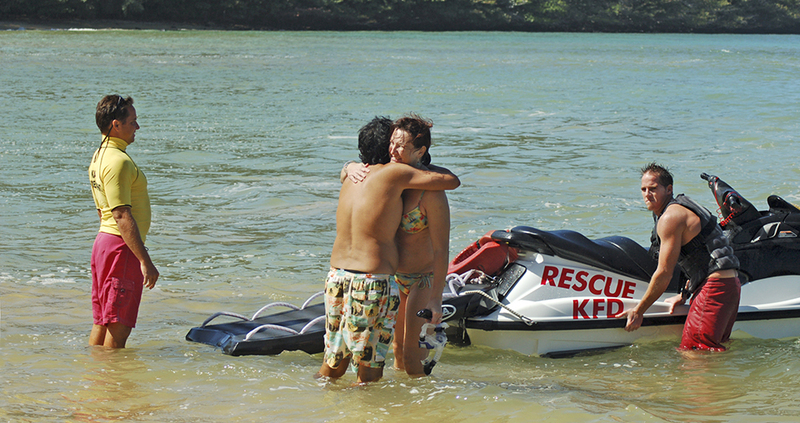 Although lifeguards won’t want to engage in long conversations with visitors, don’t be afraid to ask them about conditions. That’s what they are there for.